What does your greyhound say about you? It’s Antarctica inside our house. Dave and I are huddled like penguins to survive the abrupt Adelaide winter, typing this with our flippers to stay toasty. Before you ask, we stopped short of regurgitating fish for breakfast. We’re discussing the connection between hounds and their humans. Why greyhounds aren’t just any dog - they’re your soul on legs. What adopting a greyhound says about you. Greyhound matchmaker! What’s your type? It’s completely unsupported by science, brimming with subjectivity… and Dave reckons you’re going to love it. Read on! Friendship necklaces. Remember them? One heart split into two - one for you, one for your bestie? They went viral in the 90s before viral was a thing, a sterling silver commitment to be BFFs forever; or until Brittany gave you a better one than Stacey. Greyhounds are the modern equivalent - only, they fit neatly together with you to form a whole. 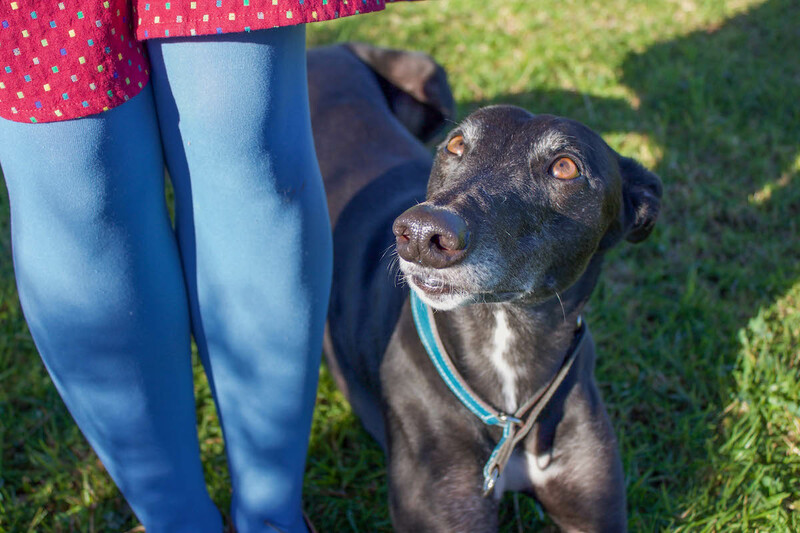 Often described as ‘heart hounds’ and ‘soul dogs’, your adopted grey contains a little piece of you somewhere between that marshmallow nose and whippy licorice tail. You weren’t aware it was missing until you got it back - once reclaimed, it’s impossible to imagine life without it. I’ve met the most wonderful people through Greyhound Adoption Program SA. Devoted foster carers, adoptees, staff, vets, rambunctious hound fans in the street. Greyhound lovers are a special breed; sensitive by nature, kinder than the Dalai Llama, with a winning sense of humour and fierce loyalty to the underdog. People who foster or adopt greyhounds are thinkers - not content to follow fickle trends; they crave the classics. 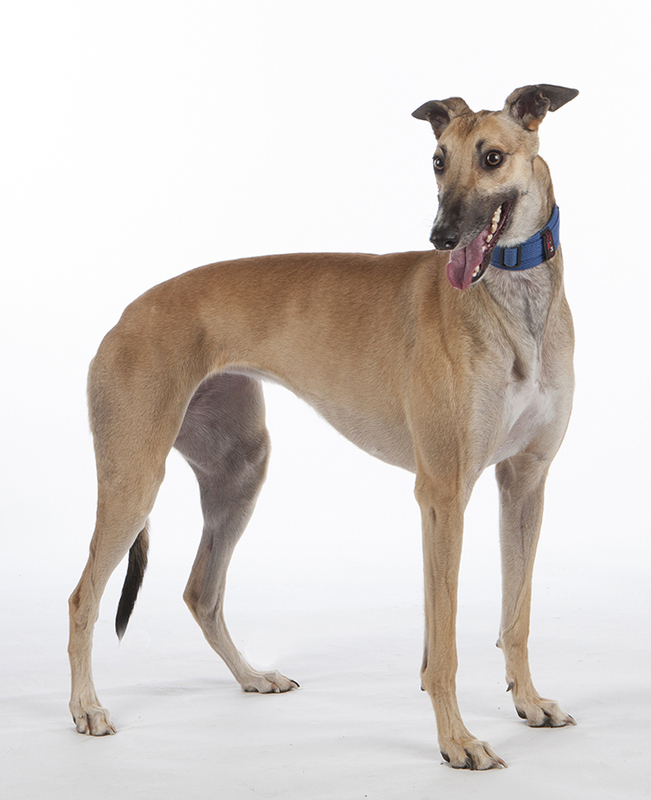 Greyhounds are one of the oldest domesticated breeds of dog, after all. If the above is ringing true, it’s time to find that perfect, soulful, spiritual, noble creature - just like Dave - who’ll change your life forever. Which type of greyhound are you? Ooooh, classy! Black Greyhounds are timeless. Like a little black dress, they’re perpetually in style (though it’s best to walk - not wear - them). 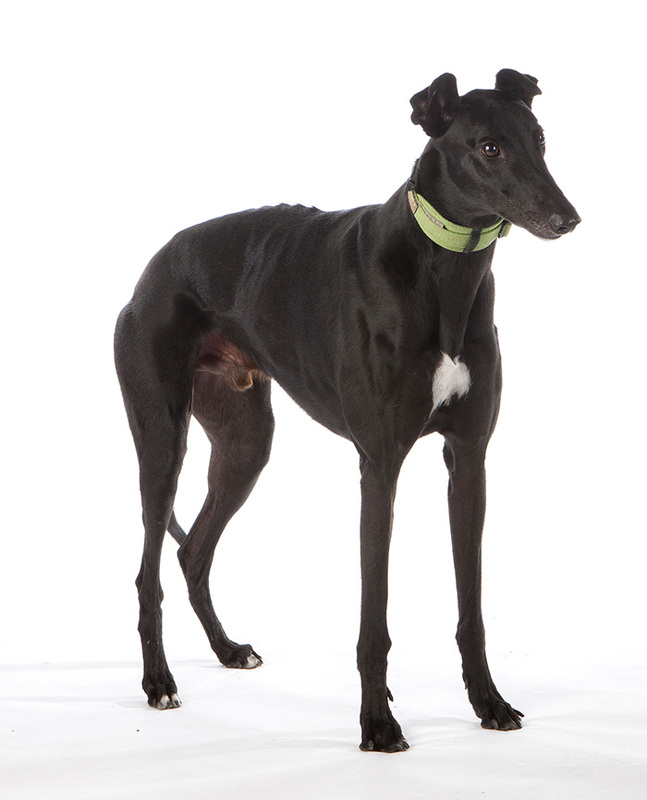 Black hound adopters are chic, practical, understated and creative. Dark fur is the ultimate canvas for brightly coloured collars and outrageous winter attire; go on, adorn and adore. Meow! The tiger-like brindle is fiercely individual, striking and quirky - just like the human attached to the leash. 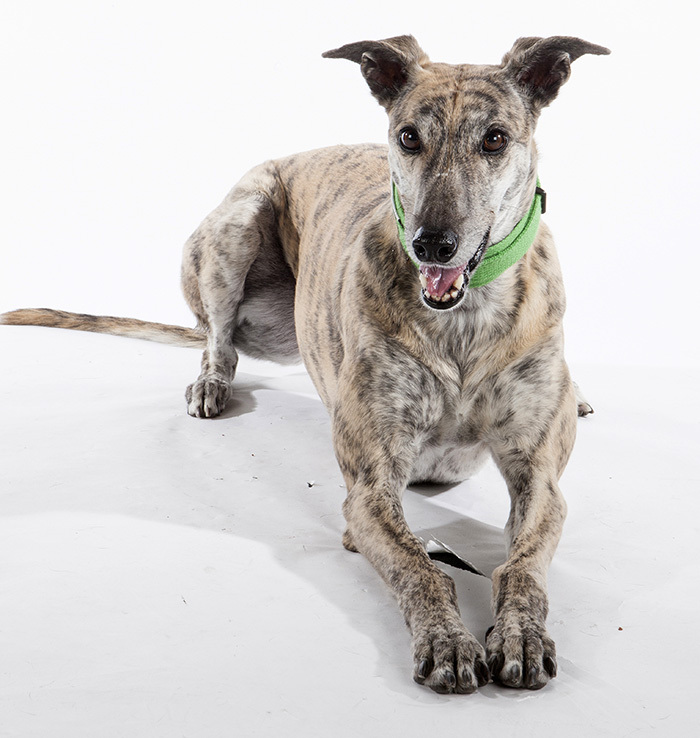 Brindle adopters are offbeat, live to stand out, and have beautifully complex personalities. Go brindle or go home. The Fawn Hound has a heart of gold and fur to match, gentler than a newborn Bambi. Their humans are committed to all things soft, sweet and peaceful - appreciating life’s subtleties and simple pleasures, like basking in the sun. 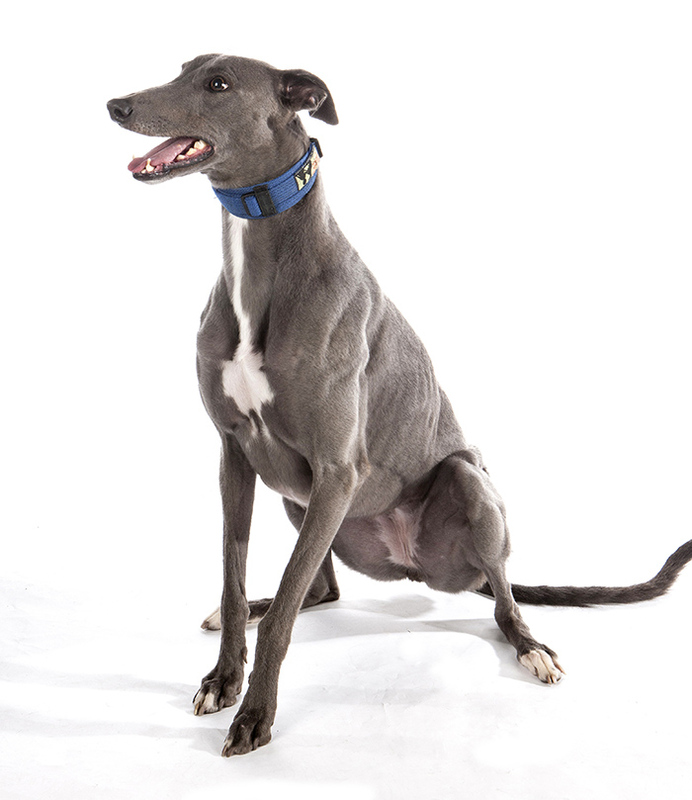 The shimmering silvery-blue hound is a favourite of trendy, modern types. Folks who appreciate polished concrete and stainless steel appliances. Who opt for industrial chic and metallic shoes. Blue Humans like life shiny and special; hounds included. They’d also consider space travel. 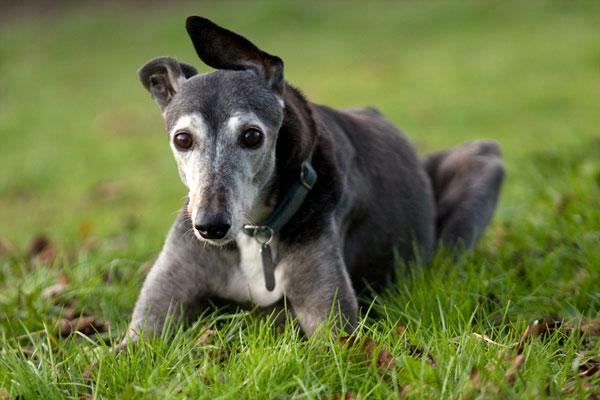 Senior hounds, like their humans, deserve respect. They know themselves, possess unparalleled wisdom and lead by example - making the most of each and every day. The senior hound adopter has an eye for quality, adores vintage and has an impressive cellar under the stairs. These hounds and their humans are kind, mature and so above the trivial dilemmas of yoof. Skin condition? Extra training required? Eye troubles? Like Mintie who was born blind (below), the special needs hound is an inspiration. Their humans are champions of the challenge, finding beauty in unexpected places and appreciating that which others overlook. Adopt a special needs hound and your cover is blown - we know you’re an angel. Go ahead! 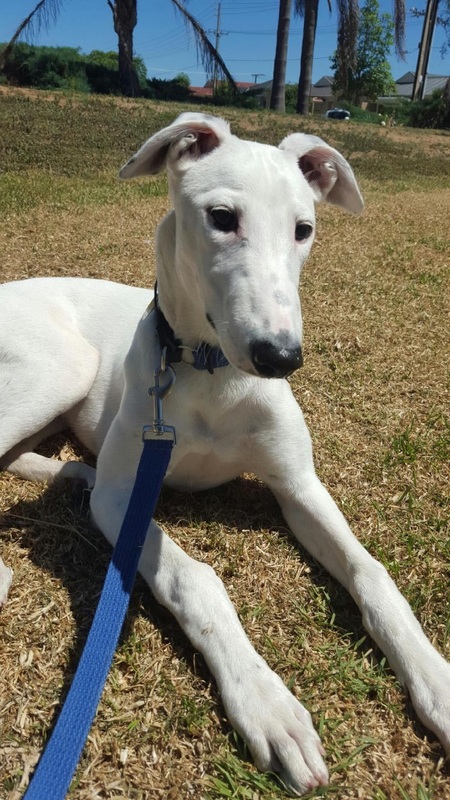 Pick up the phone and dial the GAP SA hotline to match with your perfect hound! Even if you’re renting, a retired racer can fit neatly into your domestic arrangement - try a Canine CV and melt the heart of your landlord. Think they’re too big or energetic? Read this and shift your perspective. And if all else fails, stay glued to the GAP SA Facebook page for a daily dose of the best dog in the world. The more people who experience the magic of greyhounds, the more loving doors will open for these gentle, soulful, goofy creatures. A home for every hound and a hound for every human. Make it happen. Thank you so much for following along these past 8 weeks! 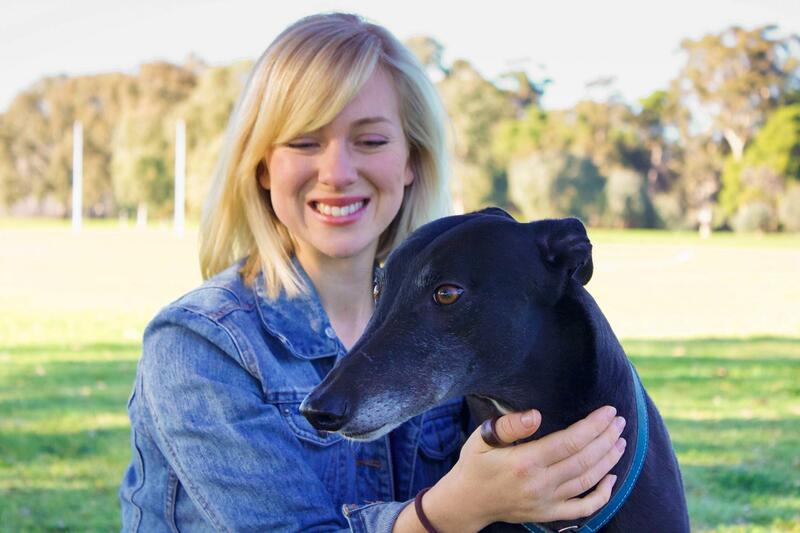 We hope you’ve had just as much fun as we have connecting with greyhound lovers all over Adelaide and the world. 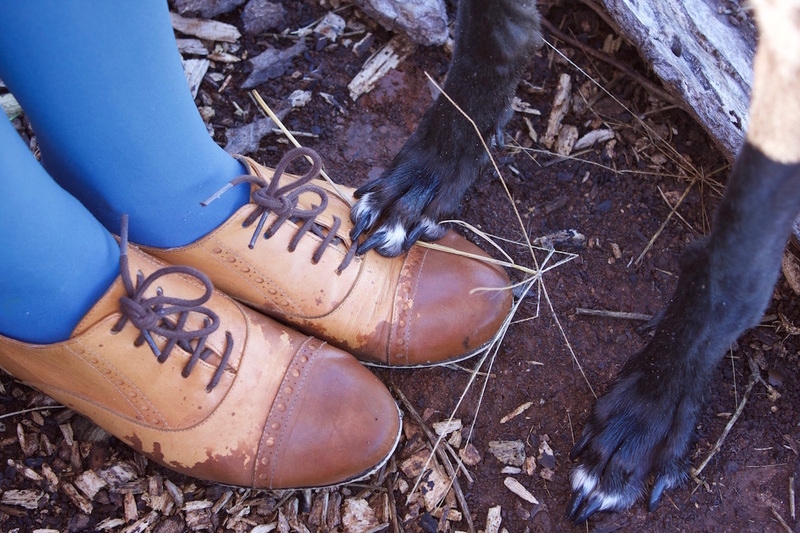 You can always find us online at our respective homes - Catie the Copywriter and Daaaave the Dog.